Heartburn Drugs May Lead To Serious Diarrhea : Shots - Health News Nexium, Prilosec and Prevacid are among the popular medicines — called proton pump inhibitors — that may raise the risk for chronic diarrhea caused by Clostridium difficile. That's a bacterium that you'd rather not have colonizing your intestines. When it comes to taking up residence in your intestines, Clostridium difficile, like these, may get some help from common heartburn drugs. If that case of diarrhea just doesn't get better, your heartburn drug could be the reason. The Food and Drug Administration just warned doctors and consumers that popular medicines called proton pump inhibitors may raise the risk for chronic diarrhea caused by Clostridium difficile, a bacterium that you'd rather not have colonizing your intestines. The drugs include Nexium and Protonix and over-the-counter remedies Prilosec and Prevacid. If you're taking these drugs (or others in tables 1 and 2 here) and have diarrhea that won't let up, the FDA says you should see your doctor right away. These drugs suppress stomach acid, which may help protect against infection with the germ. Your doctor can test to see if you've got an infection with C. difficile, the agency says, and treat it. Why did the FDA issue this advice now? After looking at a database of problem reports for the drugs and various published studies, the agency concluded that "the weight of evidence suggests a positive association between the use of PPIs and C. difficile infection and disease." Now, that's not ironclad proof, but the agency says it's strong enough to tell the world about. The agency says the studies show that using PPIs may raise the risk for infection by 1.4 to 2.75 times. FDA said it wants makers of the drugs to add information about the risk to the instructions for the drugs. Hints about problems with PPIs have been mounting for a while. 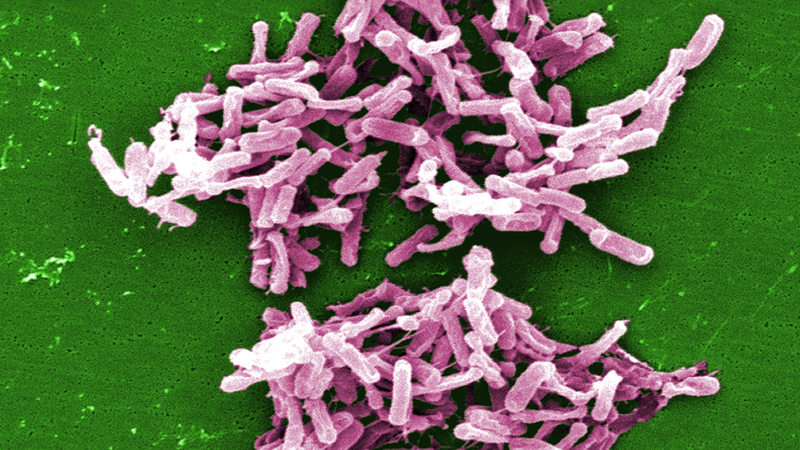 Some studies published two years ago in the Archives of Internal Medicine highlighted the possible heightened risk of infection with C. difficile for people taking the drugs. "The increases in the risk of Clostridium difficile infection with PPIs are not at all modest," an accompanying editorial said at the time. And the editorial advised doctors to think it over before prescribing PPIs. I asked AstraZeneca, maker of some of the best-selling PPIs, about the FDA's action. A company spokeswoman emailed a statement saying, "AstraZeneca remains confident in the positive benefit-risk and safety profiles of Nexium, Prilosec and Vimovo." AstraZeneca is working with the FDA to add information about the increased risk of C. difficile infection to the labels of those drugs, the statement said. "Patients should speak directly to their physicians if they have questions or concerns about their treatment," the company said. And it took note of the FDA's advice to patients: They shouldn't stop taking PPIs before talking to their doctors.